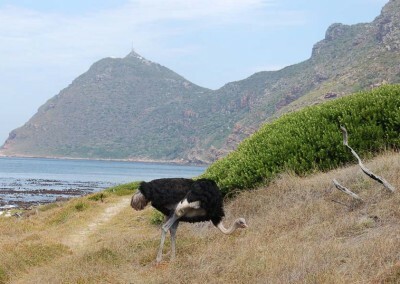 Who would have thought that an hour’s drive from Cape Town takes you to a nature reserve where you find not just Africa’s biggest antelope but its rarest too; a reserve also home to baboons, ostriches, otters and lynx as well as tortoises, sunbirds and gannets. The challenge is to find them. 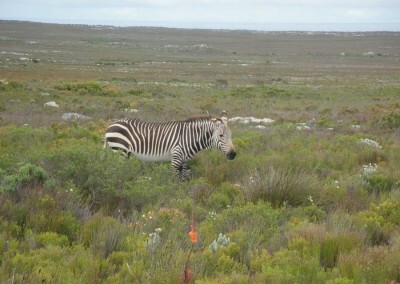 Combining shorts walks and drives is the best way to see the wildlife of Cape Point. 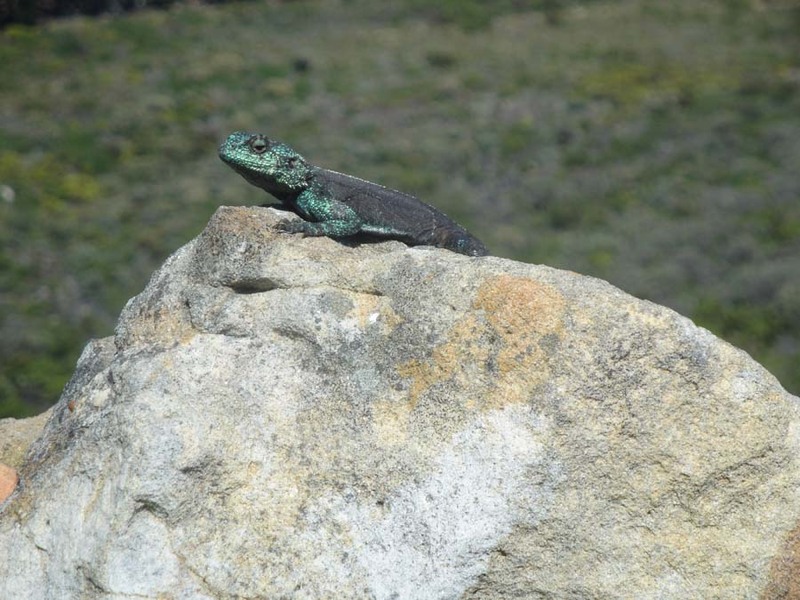 More accurately, you’ll be in the Cape of Good Hope Nature Reserve, a 7 750 hectare conservation area lying at the very tip of the Cape Peninsula and an hour’s drive from Cape Town. Entering the reserve, the sight of the wind-blown scrubby heathland sprawled between crumbled mountains usually causes visitors to wonder whether any animals can live here at all. 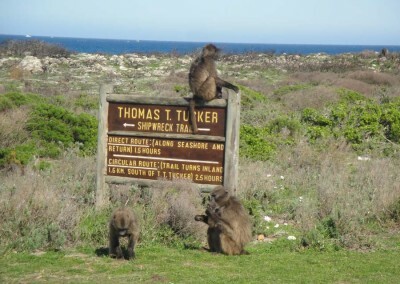 And for those who travel directly to Cape Point at the end of the road, the lack of wildlife seen on the way (except for marauding baboons at the car park) confirms their doubts. 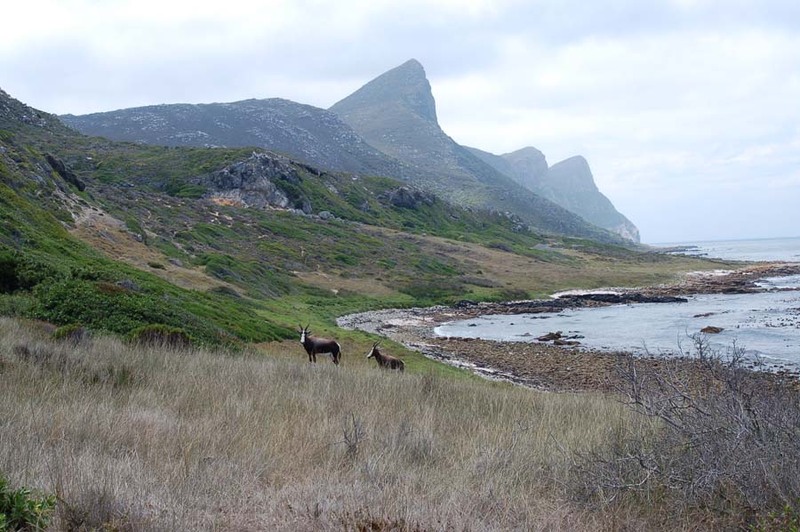 But stray a little off the beaten path on a Fynbos Guy Cape Point wildlife tour and an amazing natural world opens up: shimmering wetlands and green grazing meadows, wave-thumped beaches and tangled milkwood forest. And it’s here that you’ll find the animals. 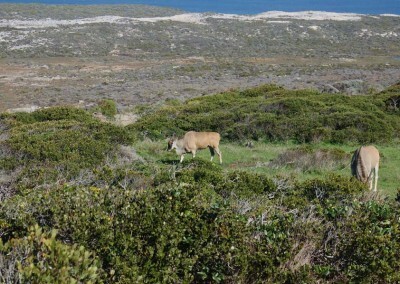 The Cape of Good Hope Nature Reserve is home to a herd of around 60 eland, an ox-sized antelope weighing in at up to 800 or even 900 kilogrammes – Africa’s biggest antelope. 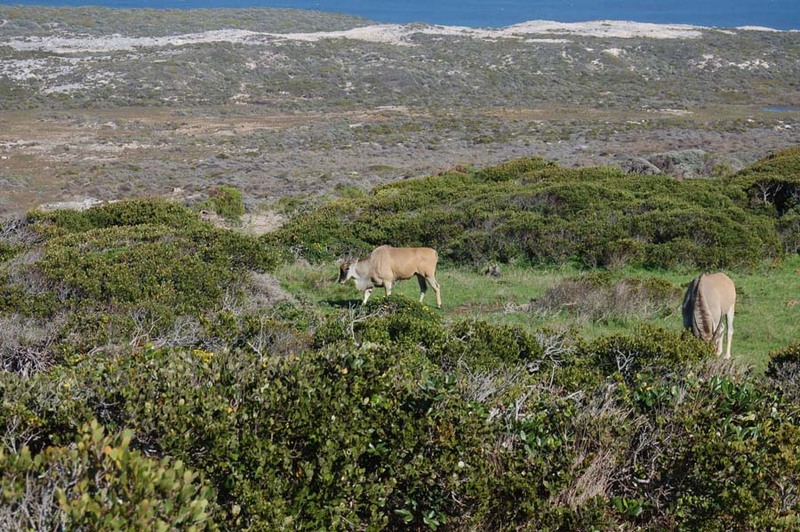 Smaller herds of eland are usually seen, often grazing close to the beach and in the company of bontebok antelope, a species once reduced to a staggering 17 individuals before being rescued from oblivion. It’s now the most commonly seen antelope in the reserve. 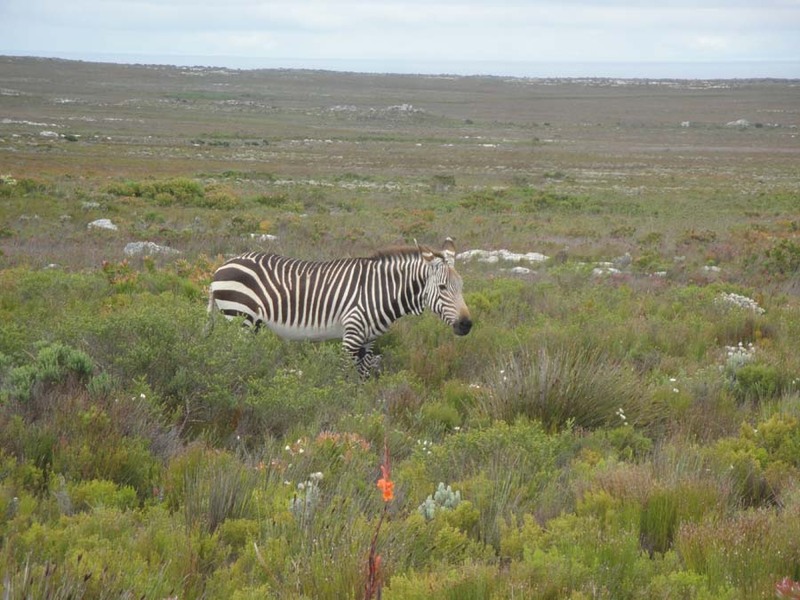 We may get lucky and enjoy a rare sighting of red hartebeest or Cape mountain zebra, animals confined to quieter parts of the reserve. 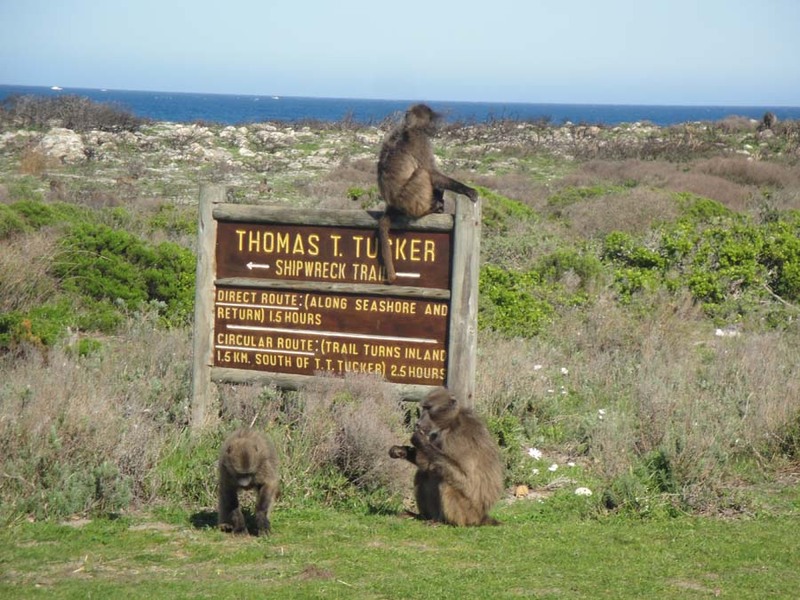 Everyone loves the Cape Point baboons until they arrive to join your picnic. Much maligned at the Cape Point car park where they steal food, baboons are best seen in their natural surroundings – foraging in fynbos and even on the beach itself. Under the protective gaze of the alpha male, the troops often wander close by to hikers, even ignoring us, when there is no food conflict. 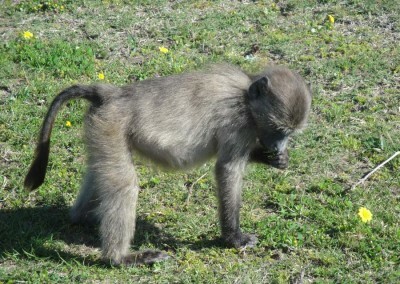 Baboons can be seen almost anywhere in the reserve but sometimes wander far in order to find food. 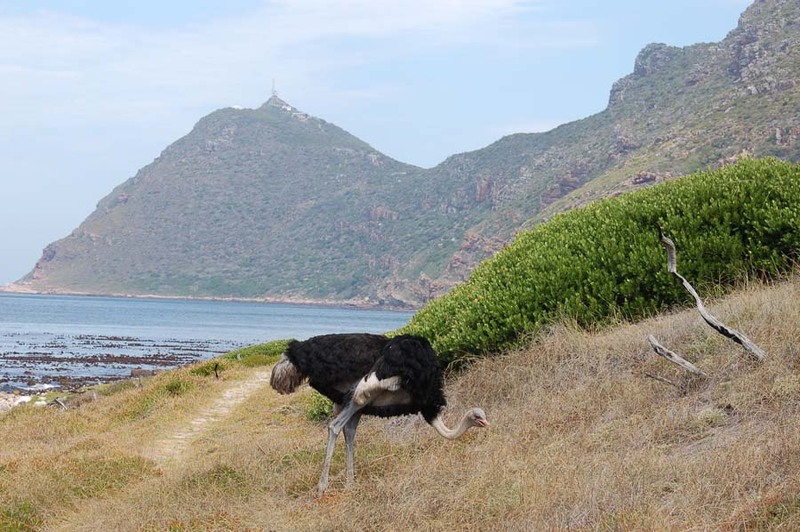 Ostriches are the most obvious birds seen on a Cape Point Wildlife Tour but the reserve has recorded an amazing 250 species ranging from eagles and albatrosses to quails and sugarbirds. 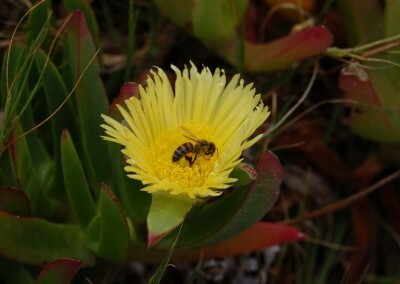 A compact mix of different environments – fynbos, thicket, beach, wetland and open ocean – gives rise to a great diversity of birds and there are many local endemics to tick off. 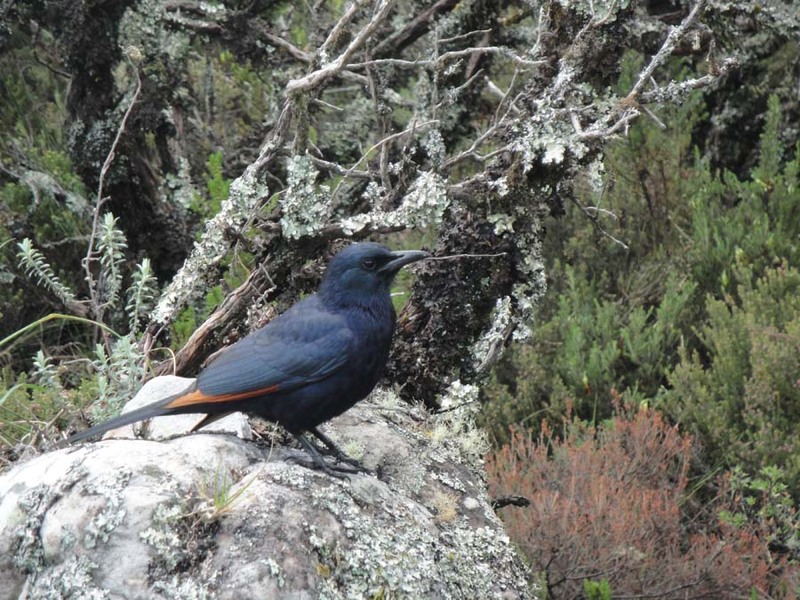 It’s one of the best bird watching destinations in the area. 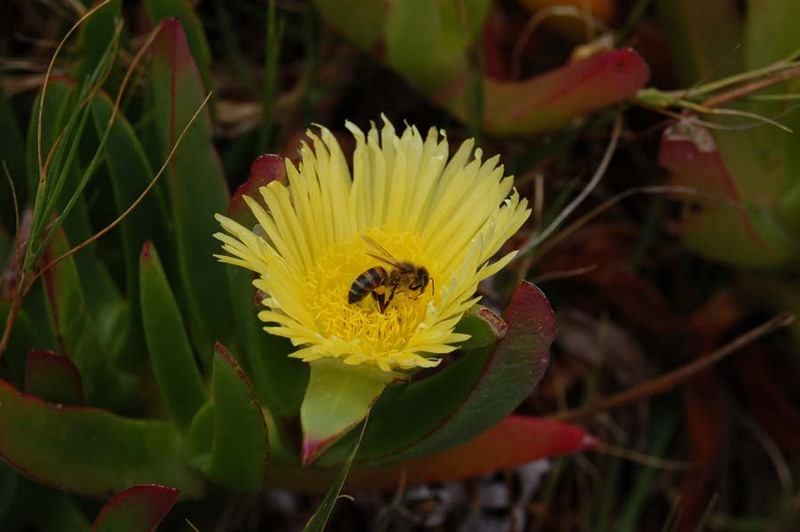 The Cape Peninsula is – amazingly – home to 5% of the world’s coastal marine species. 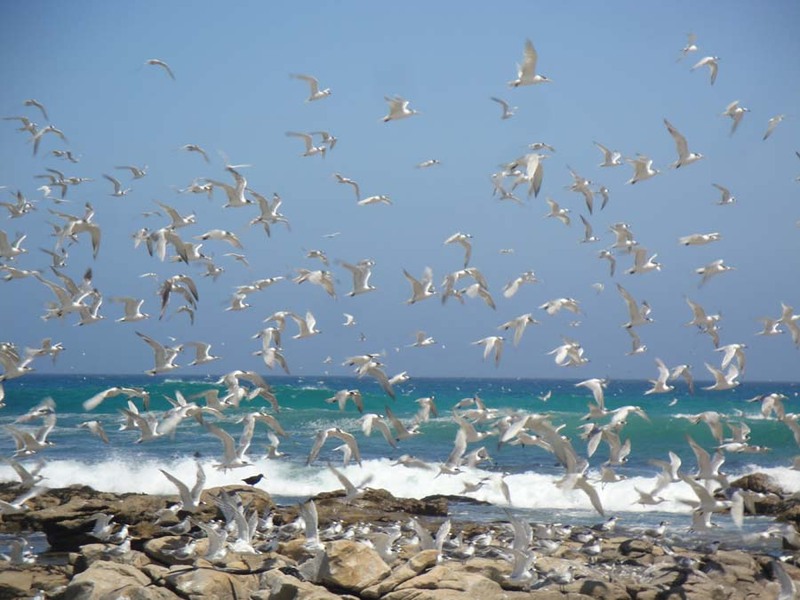 And with both rocky and sandy beaches, the reserve’s coastline promises a big wildlife show. Walking on the Atlantic’s sandy beaches reveals great numbers of crustaceans and shells, washed-up jellyfish and bluebottles. The Indian Ocean’s rocky shores are home to teeming rock pools and it’s not unusual to see whales offshore during the spring months. 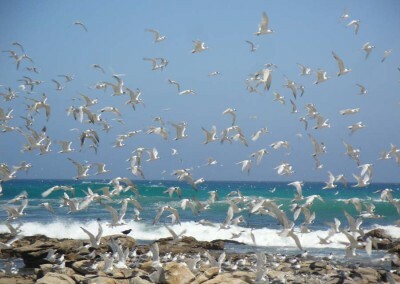 Sea and shore birds are in abundance on the coasts, and seals can sometimes be seen hunting in the underwater kelp forests. 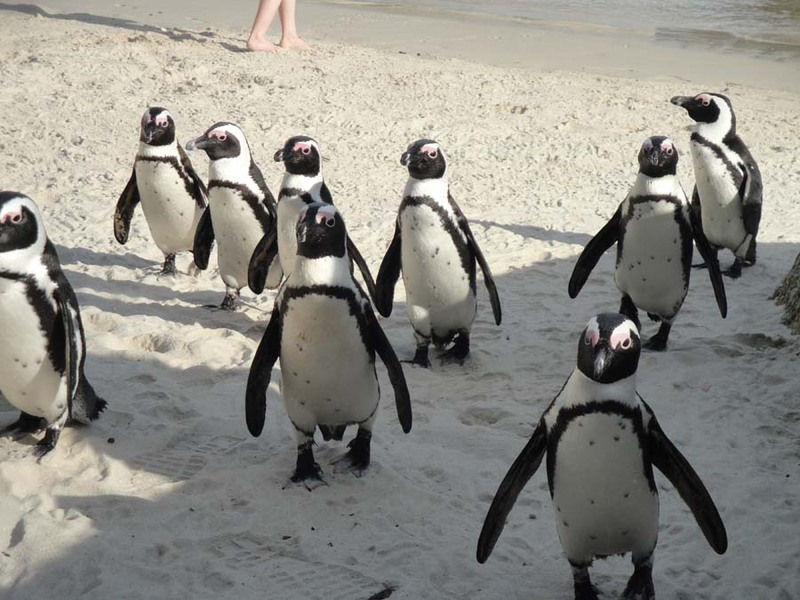 And these Cape Point beaches are famous for their ‘strandings’ – dead, injured or lost marine animals cast upon the beach. Recent sightings include ocean-wandering sun fish and an elephant seal. 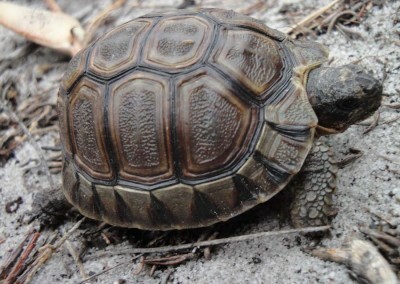 Tortoises are the most popular sightings and are quite common in spring but most of the time reptile sightings are restricted to lizards – in particular the ground agama and the black girdled lizards. Snakes do live in the reserve, including the infamous puff adder and Cape cobra, but sightings of any snake, let alone an encounter with a dangerous one, are very rare. 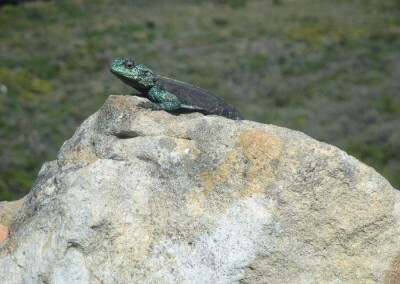 Cape Point Wildlife Tour: the details. Tour itineraries vary according to season and interest. It’s possible to see great wildlife in a half-day tour – a morning walk is especially recommended – while a full-day wildlife tour allows time to explore both coastlines in detail. 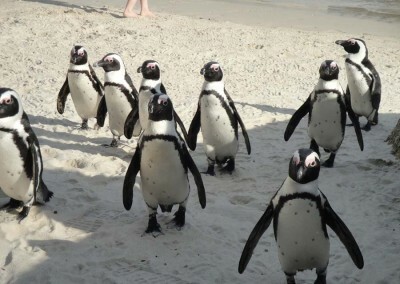 A full-day also allows time to visit Boulders Beach Penguin Colony beforehand and Cape Point itself at the end of the tour. Visitors planning to see breaching great white sharks during the May – September shark season in False Bay can also combine an afternoon Cape Point wildlife tour with their morning shark experience. 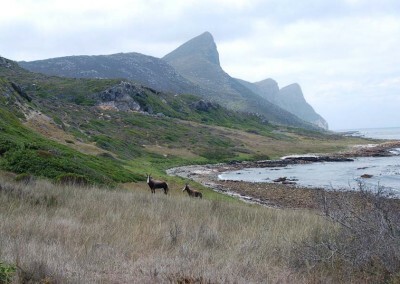 You return to Simons Town at lunchtime, have something to eat and drink, and then it’s off to see the marine environment but from dry land this time! 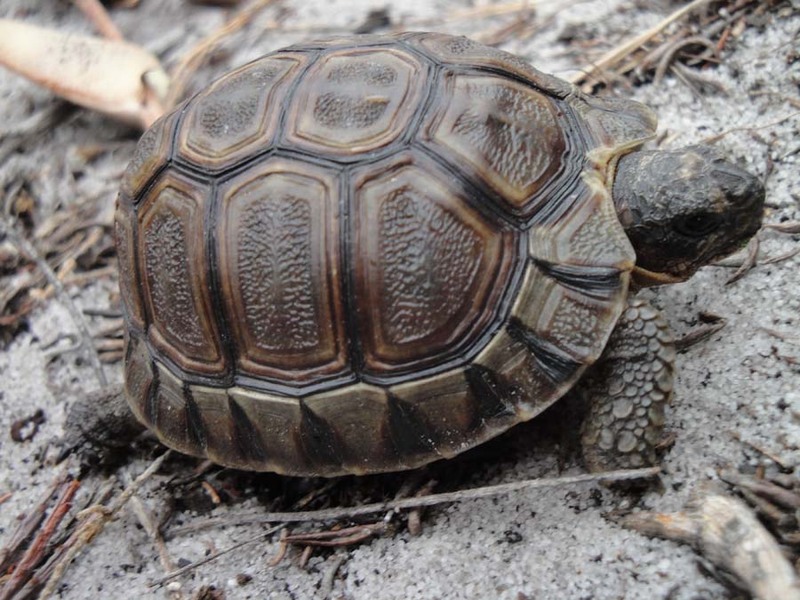 Walking is easy on my wildlife tours – most of the time we’ll be on flat beaches and coastal lowlands. There’s no specialist hiking equipment or clothing required, and I supply tea, fresh coffee and snacks on all tours as well as a picnic lunch on the full-day tour. 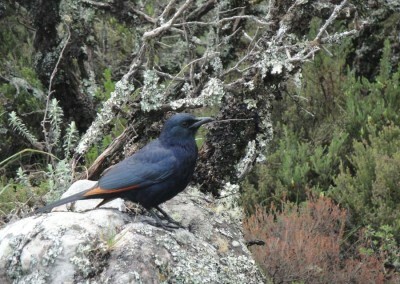 A camera is highly recommended and a pair of binoculars is definitely worth bringing along.